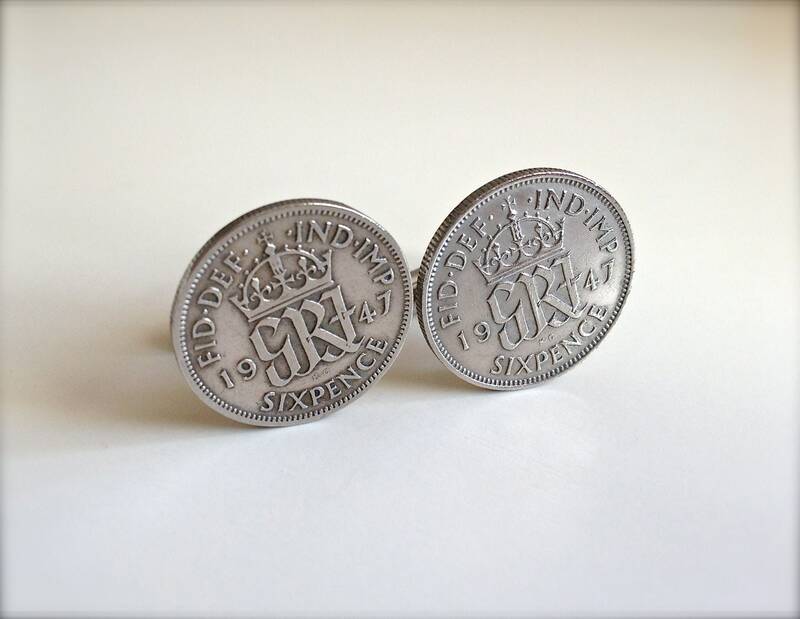 These are handmade and hand polished cufflinks, using genuine British sixpence both dated 1947. These coins are no longer in circulation, other dates are available upon request ranging from 1947-1967. These cufflinks make an ideal gift for a best man or ideal for a groom on his wedding day. Also a perfect birthday gift for a man born in 1947. Silver plated cufflink bases have been used.